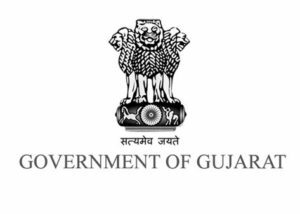 Gujarat TET Notification 2016 Apply Online Application, Exam Date: TET Gujarat 2016 Notification: Govt Gujarat School Education Board officially released teacher recruitment 2016 for the Gujarat Teacher Eligibility Test(TET). Those who are the candidates who are looking for govt jobs in Gujarat this is the best opportunity to apply online application form. Check the employment notification advt Those eligible candidates for Teacher jobs in Gujarat. GTET Gujarat TET Application Form Exam Date 2016: Candidates who are interested to apply online for Gujarat TET 2016 Notification they should check the official recruitment notification at www.ojas.guj.nic.in to read all the instructions and prospectors of Gujarat TET 2016 Notification then apply before the last date of application received by online or offline on the more details like age limit, selection procedure, how to apply details see more below. Applier Age Limit: Details on official notification advt. Age relaxation for reserved candidates applicable as per govt rules. Academic Educational Qualification: 10+ 2 with minimum of 45% or Graduation and completed 2 year diploma in the Elementary Education from recognized board/Institute in India. Pay Application Fee: Rs.350/- for General/OBC category candidates and Rs. 250/- for SC/ST category candidates. Selection Method: Process will Written Test and Interview . Open the Gujarat TET 2016 Notification official website www.ojas.guj.nic.in. After take a print out of system generated application for further process. The notification after the syllabus, questions & answer papers previous, hall ticket admit card, results updates news will given soon.